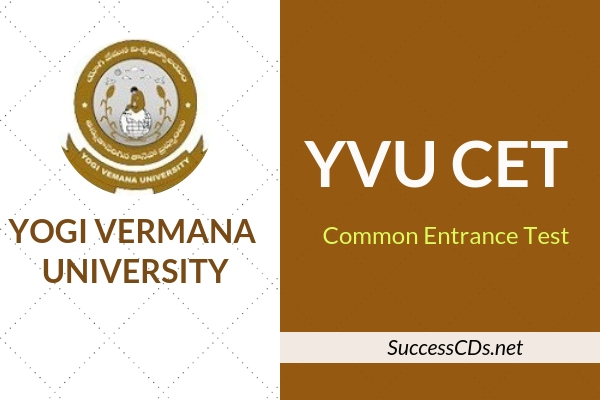 YVUCET 2019 Notification, we have mentioned the details about Yogi Vemana University Common Entrance Test 2019. The consists of YVUCET 2019 Registration, Important Dates, Syllabus, Results. The Regular (R) and Self Financing (SF) and Sponsored (SP) courses offered in various constituent and affiliated colleges are listed below. Candidate should be belong to the state of Andhra Pradesh only and should satisfy Local / Non-Local status requirements as laid down in the Andhra Pradesh State Educational Institutions or 1974 as subsequently amended. Candidate should have passed the qualifying examination with a minimum of 40% marks in the concerned subject; for the courses where the admission is based on the degree as a whole, the aggregate percentage in the group subjects should be 40% of marks; for admission into M.Ed., the aggregate marks in B.Ed. should be 50% and the aggregate marks in degree/PG/should be 45%.